WHAT IS YOUR SALES CLOSE RATE? Uncovering the customer’s buying motives is essential to making sales. Knowing why people buy is more powerful than learning how to sell. 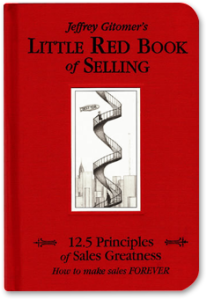 In this full day workshop, based on this bestselling book, you will have the opportunity to understand why sales happen and master the elements of making sales forever. 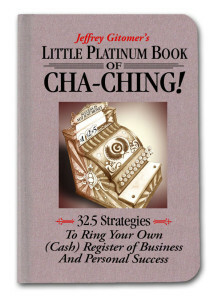 The Patterson Sales Principles, as written by John Patterson, the founder and President of The National Cash Register Company, and the original master salesman of America has now been re-written, and modernized by Jeffery Gitomer into the Little Platinum Book of Cha-Ching. 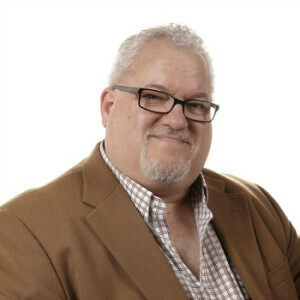 This book and training program is the 1st and foremost Business to Business Sales Training Program in North America and the skills, practices and disciplines laid out in it are just as valuable and cutting edge today as they were when John Patterson founded them and NCR. I have been using these skills for years but I dearly wish I had known them much earlier in my sales career. I am sure my sales and thus commissions would have been significantly larger. I could have saved many hours and lowered my stress levels considerably.